My sister, Aku is not the most enthusiastic cook. But she is an expert at making eggs. 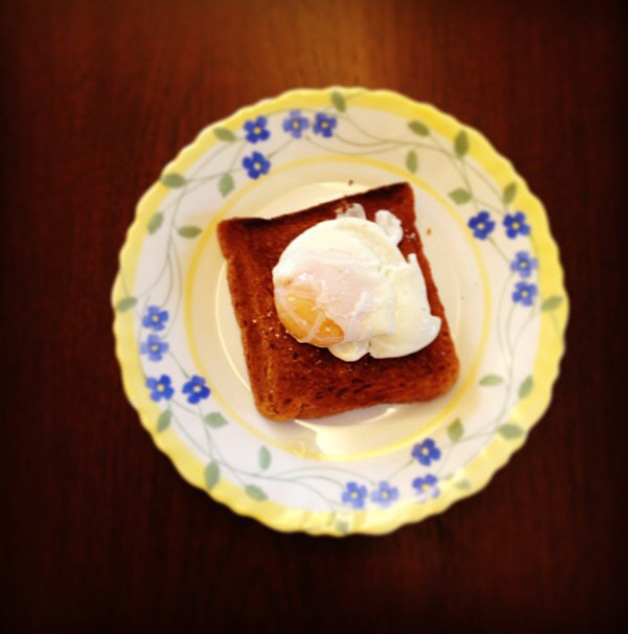 And one Saturday morning she decided to learn how to perfectly poach an egg. And where else does one learn how to do that but Youtube. And once the fabulous breakfast was done with, it was time to get back to Youtube. And this time it was Sushi. Everything seemed so simple that we stepped out to pick up all the ingredients and a good sushi mat so we could have a Super Sushi Saturday. The shape of the sushi wasn't perfect but it didn't matter. After all it's what's on the inside that counts. And that was nothing less than superb. 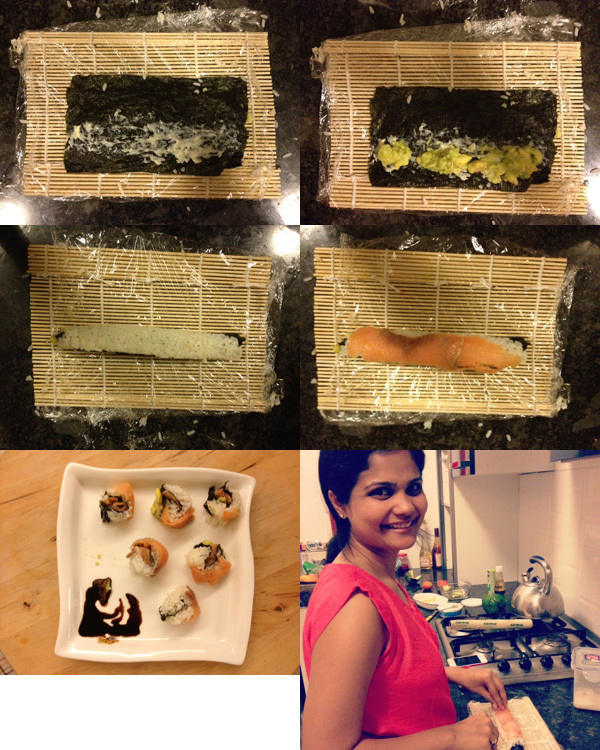 Sushi mat and avocado from Nature's Basket, Hill Road, Bandra. Salmon and Mascarpone from Sante, Pali Market, Bandra. Sushi rice, Wasabi paste, soy sauce and Nori from Modern Stores, Pali Market, Bandra.